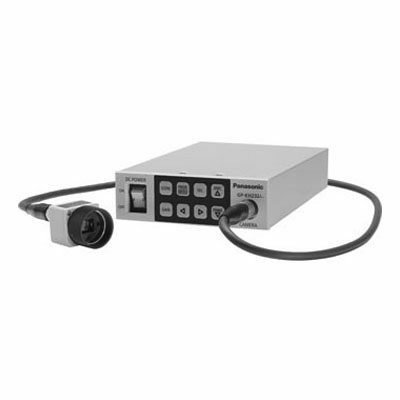 The Panasonic GP-KH232A includes an ultra-compact sized FULL HD 1080p 1MOS remote camera head GP-KH232HA and the CCU Control Unit GP-KH232CUE & GP-KH232CSE. The 1MOS micro camera supports the video formats 1080p (through HDMI), 1080i, 720P, 576P/480P and 576i/480i. The video out terminals provide digital HDMI as we as analogue RGB/YPbPr and Y/C a. These video outs run simultaneously. Additionally, the box version GP-KH232CSE supports HDSDI, HDMI and YPbPr. By considering a required illumination of 2000lx (at F8), the camera achieves horizontal resolution of 900 TV lines.